​Hanoi (VNA) – The Vietnam Narcotics Investigations Department (C47) under the Ministry of Public Policy said it had coordinated with relevant forces to uncover an inter-provincial drug transporting ring, seizing 150 packs of heroin. The drug was hidden in a truck travelling on Hanoi-Thai Nguyen expressway at the section in Yen Phong district, northern Bac Ninh province. The truck was specially designed with a two-layer loading body covered by canvas to hide the drug. 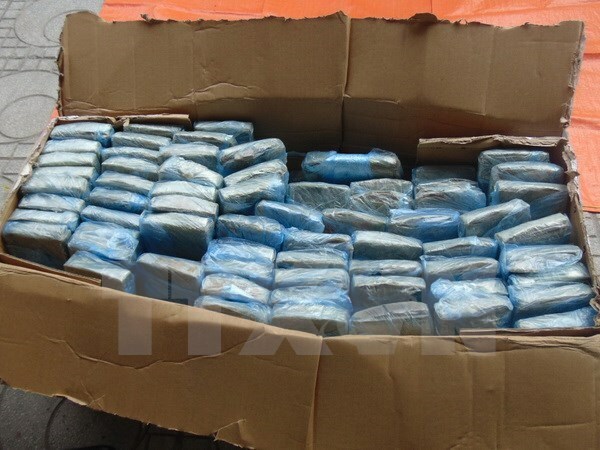 The truck driver confessed he was paid 70 million VND (3,080 USD) to transport the drug.